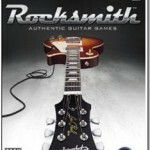 Learn How to Play Guitar, Cheaply With Rocksmith. Have a young student that wants to learn how to play the guitar? Maybe you want to learn it yourself. Lessons can be expensive. 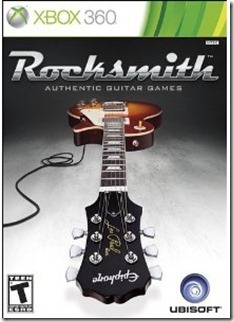 I would like to offer a fun new alternative, Rocksmith. I remember ready about 1.5 years ago I heard about a new Rockband game that was being developed with actual guitars. I thought that would be cool if that studio got the game to market, and they did! You need an actual guitar with a 3mm plug-in. The game will tune your guitar! Which is amazingly helpful for newbies. It comes for Xbox 360, PS3, and Computer – But the computer release has been delayed until December. Why is this cheap? It’s cheap by comparison to lessons which can run $25 – $50 an hour. It’s worth checking out if you are planning on learning anyways and especially if you just happen to have a 55’’ Vizio HDTV. Might be a good gift as well. If $79.99 is too high for you, just give it time – it will be $50 – $55 within 2-3 months on Amazon used.